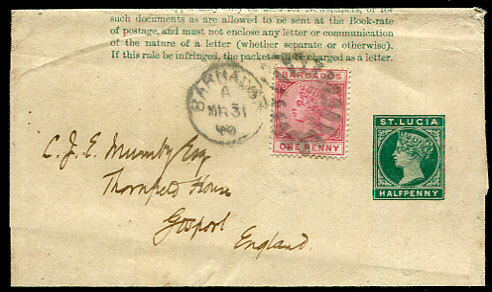 1890 use of St. Lucia QV ½d green/cream newswrapper posted with Barbados QV 1d pmk'd open bootheel duplex A/MR 31 90 to Gosport, England. 1903 use of Trinidad KE7 ½d newswrapper, the front portion pmk'd Port of Spain E/MR 28 03 with str. 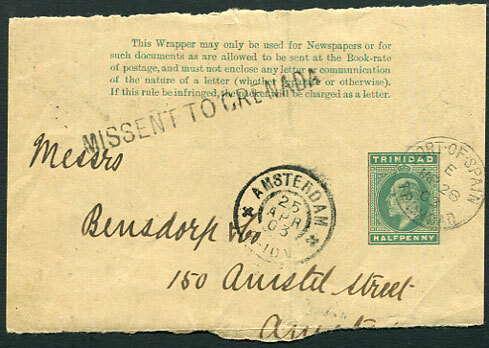 line "MISSENT TO GRENADA" and attractively showing Amsterdam 25 APR 03 arrival. 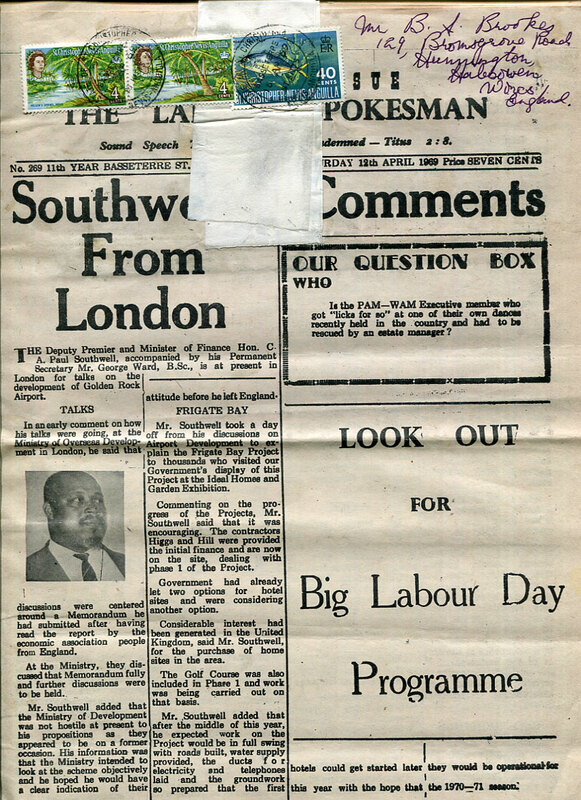 1969 complete copy of "THE LABOUR SPOKESMAN" newspaper mailed with QE2 4c x 2, 40c to Halesowen, Worcestershire postmarked Basseterre 16 AP 69. A modern rarity. 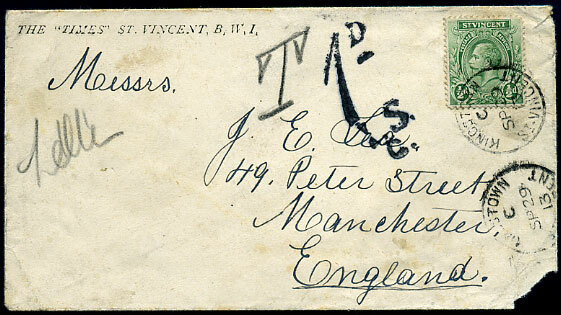 C/SP 29 13 tying KGV ½d (SG.108) on "TIMES" underpaid cover to Manchester, corner fault lower right.